Questions about Kichler Lighting 2655OZ? The Structures Collection proves that one style can take on numerous forms. Structures lighting employs universal shape to create modern, aesthetically pleasing lighting capable of unmatched versatility, forming a unique and eclectic style all its own. The Structures motif, along with our Brushed Nickel finish and satin-etched glass, gives a timeless, clean feel to the fixtures, capable of matching any decor. 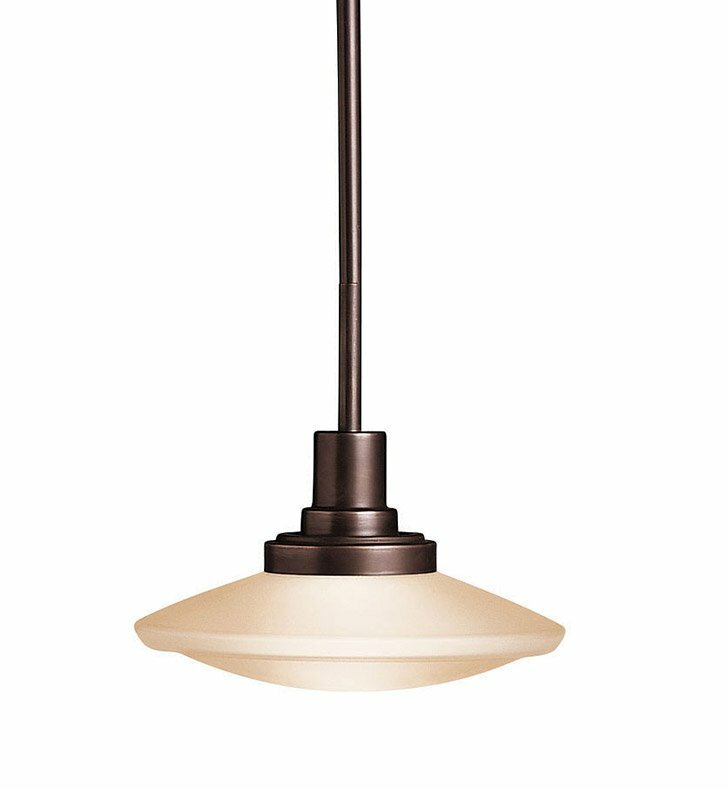 The Structures Collection offers this quaint 1-light mini-pendant for smaller spaces that require lighting in a fresh package. This fixture is 9" in diameter by 8 1/2" high, uses 100-watt (max.) bulb, and comes complete with T-3 or T-4 mini-can base, and a tungsten halogen lamp included. This mini-pendant can also be converted to a ceiling mount fixture. Dimensions: H 8 1/2" x W 9"